Add some convenience to your valuable customers’ lives with this Montana Event Kit that features a versatile pouch which stores anything from tees to spare change. This economical golf event kit contains an imprinted golf ball and five custom printed tees and comes with a metal carabiner that attaches easily to any golf bag. 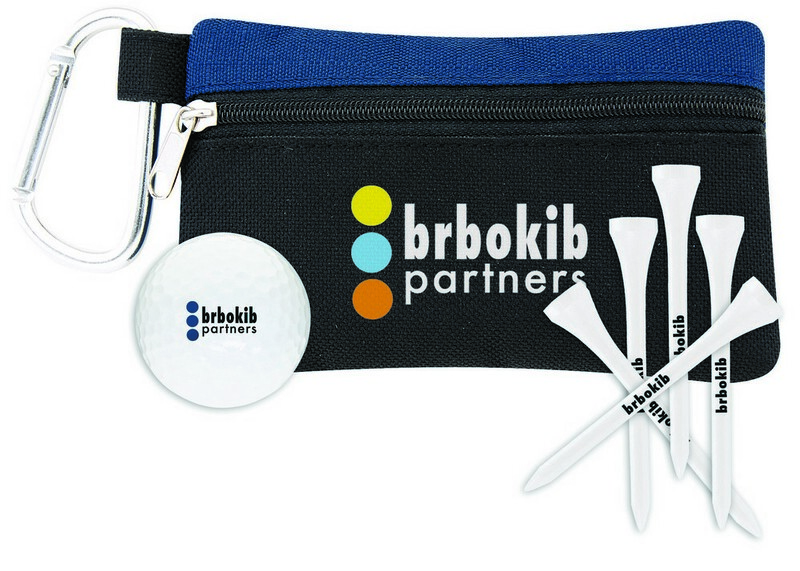 The pouch is made out of polyester, tees are made of wood and golf ball features ionomer construction. Perfect for golf themed promotional events and tournament giveaways, this kit offers a lot of opportunities to show off your brand logo.